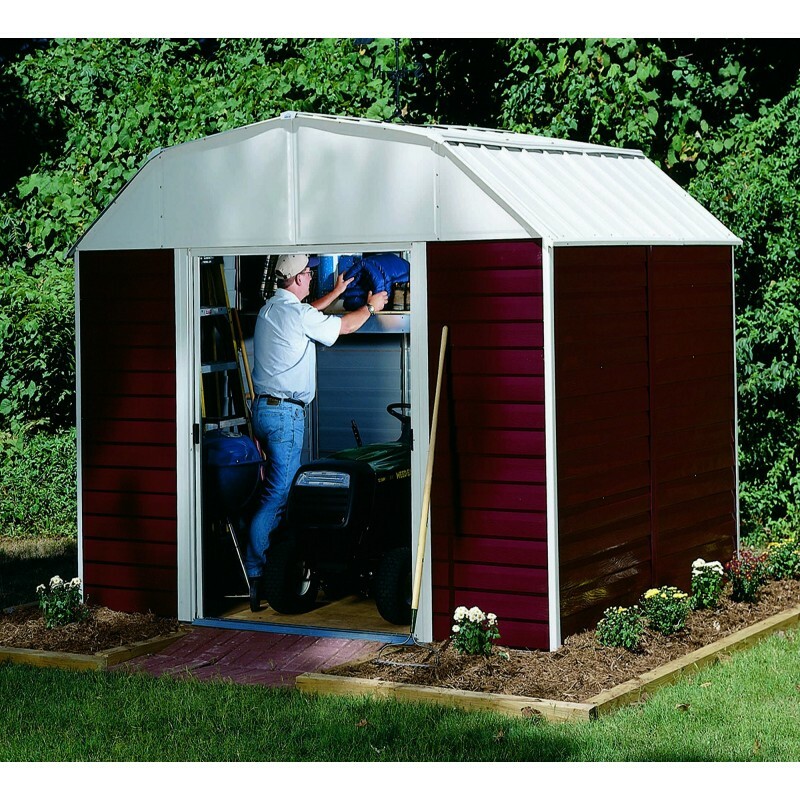 Horizontal red wall panels and a tall barn shape roof make the 10'x14' Red Barn from Arrow an exceptional storage option. 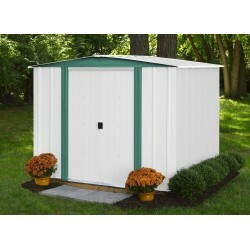 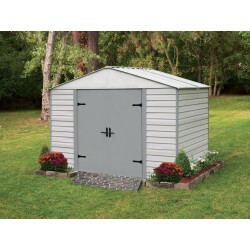 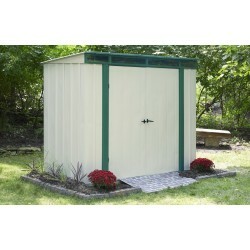 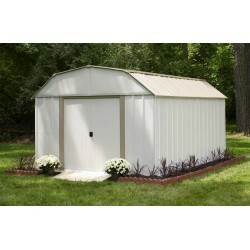 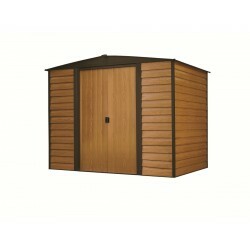 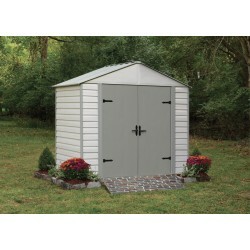 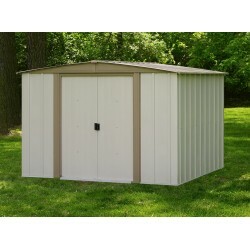 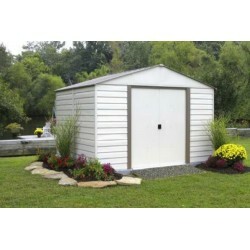 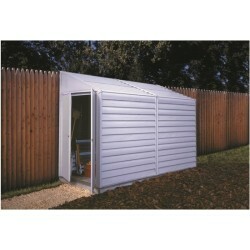 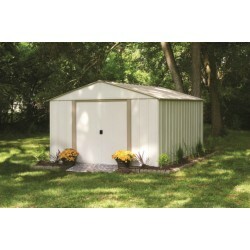 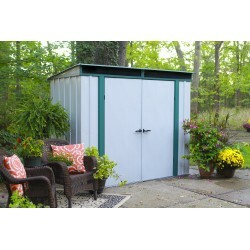 This spacious steel building features an interior peak height of over 8 ft. for greater head room and work space. 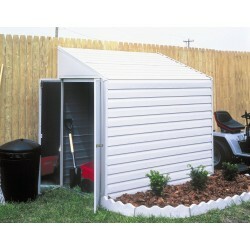 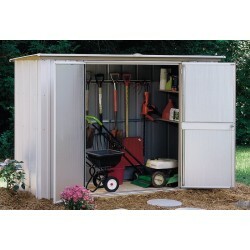 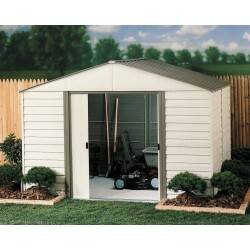 The wide door opening lets you easily store large equipment like riding mowers. 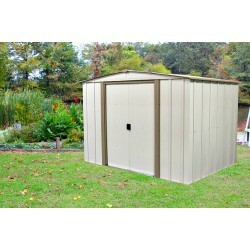 All parts are pre cut and pre drilled for faster assembly. 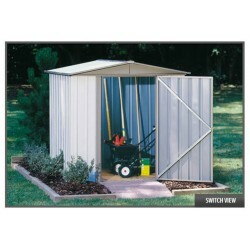 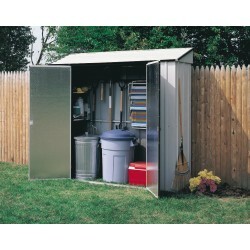 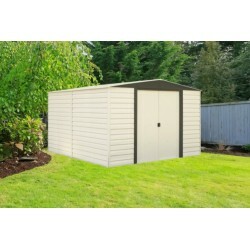 Durable galvanized steel parts will provide a long-term home for your lawn and garden tools, patio equipment, bicycles , kids toys and much more. 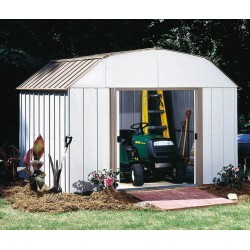 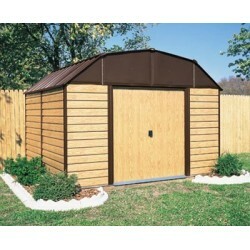 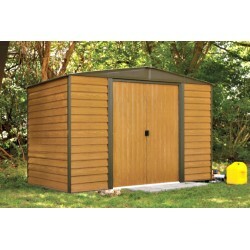 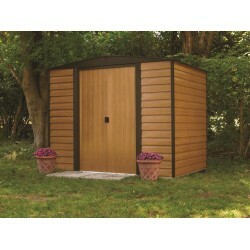 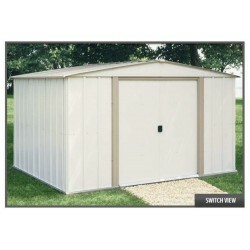 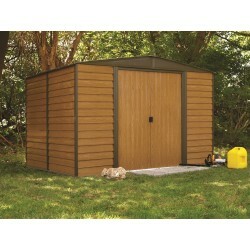 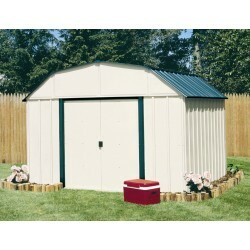 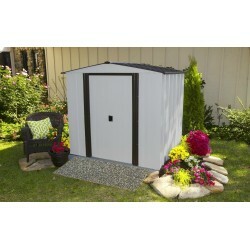 The Red Barn is backed by a 12 year limited warranty.